Emergency Assistance Program (EAC) has played a significant role in the community, providing a safety net for people of all faiths who are trying to make ends meet. 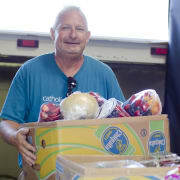 Services include meeting the immediate, basic survival needs of families with low-incomes so they have enough food to prevent going to bed hungry; rent money to avoid eviction and homelessness; water to bathe in or prepare food; electricity to run a refrigerator and lights; and gas to heat their homes and cook. Volunteers are needed to serve their community by assisting shoppers with groceries, stocking shelves, sorting food and front desk responsibilities at two KCK locations. Training will be provided. If interested, please contact Cari Olberding at 913.433.2104 or colberding@catholiccharitiesks.org.